We’ve all seen those posts on Facebook where someone asks for a recommendation for something, and someone else answers with suggestions. It’s usually for something like a plumber, or an electrician, and that person’s friends then respond and recommend plumbers or electricians they’ve used. It’s very common, and is one of the better aspects of social media as it allows people to get personal recommendations for businesses they wouldn’t otherwise have got. However, when these questions for recommendations are posted into Facebook groups, the people who respond aren’t necessarily friends with the person asking for a recommendation. No, they’re usually friends with the person they’re recommending – or they’re in that person’s networking group and they’re recommending them because they want to help them, rather than the person asking for advice. There’s nothing wrong with that per se, but you should be aware that the person recommending someone may never have actually used their services at all. It’s still a recommendation of sorts, and shouldn’t be dismissed. Now, what about when this concept of asking for recommendations and then someone giving them is purposefully abused? 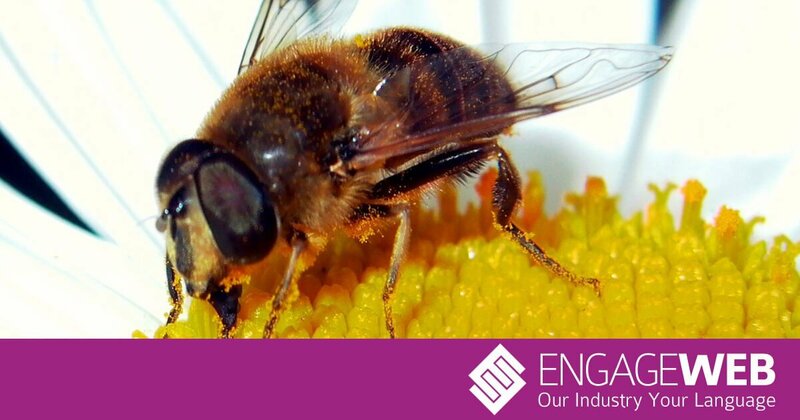 There is a company called Beeloans and it offers long and short-term loans of between £100 and £5,000. I’m not going to make any comment about a loans company, as everybody has probably needed a loan at some point, myself included. The interest rates charged by Beeloans are much higher than you’d pay from a bank loan, but then they’re probably targeting people who don’t have the credit rating to successfully apply for a bank loan. As I said, I’m not about to comment on them. What I am about to comment on, is the appalling abuse of social media I have seen advertising their services. 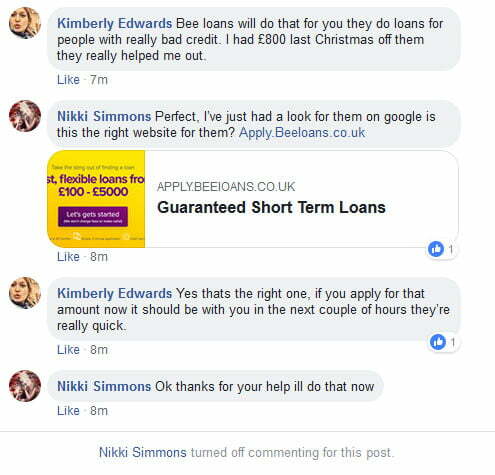 Beeloans has been advertised on Facebook using fake profiles asking for, and receiving, recommendations for loan providers. I have seen the same post and series of replies used over and over again for the last week, in attempt to fool people into thinking someone has genuinely recommended them as a lender. 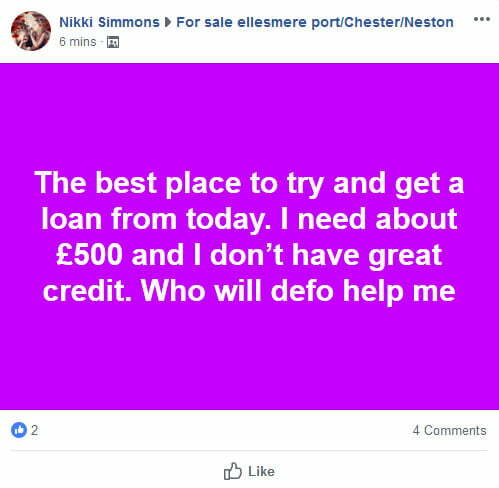 Someone named Nikki Simmons makes a post in a Facebook group asking for advice on where to get a loan. Well sounds great, doesn’t it? At this time of year people need a little extra help and here’s Kimberly telling us about how Beeloans helped her out of the same situation last Christmas. This must be genuine then. In the same minute, Nikki replies (after having already Googled them apparently) and pastes the website address into the comment so anyone commenting knows where to go. Now, the more observant among you (probably just me) will notice that the website address posted by Nikki looks like apply.beeloans.co.uk, but it’s not. It’s actually a capital ‘I’ instead of an ‘l’, which means it’s apply.beeioans.co.uk – but because she’s written it in title case, it looks like the correct website address. Should you be worried? Hell, yes you should be worried. The domain name beeioans.co.uk isn’t even owned by Beeloans, it’s owned by someone else and was registered with GoDaddy within the last 12 months. So these fake profiles are having the same fake conversation repeatedly each day, in different Facebook groups, recommending a loans company and posting a link to a completely different website. This is starting to look a little bit like a scam. Once the comment exchange is finished, the original poster (Nikki) disables comments to stop anyone replying warning others that it’s a scam, or at least a spam conversation. So what happens when you do click on the link for beeioans.co.uk? It takes you to a website that has a short bit of text, and a big Apply Now button. 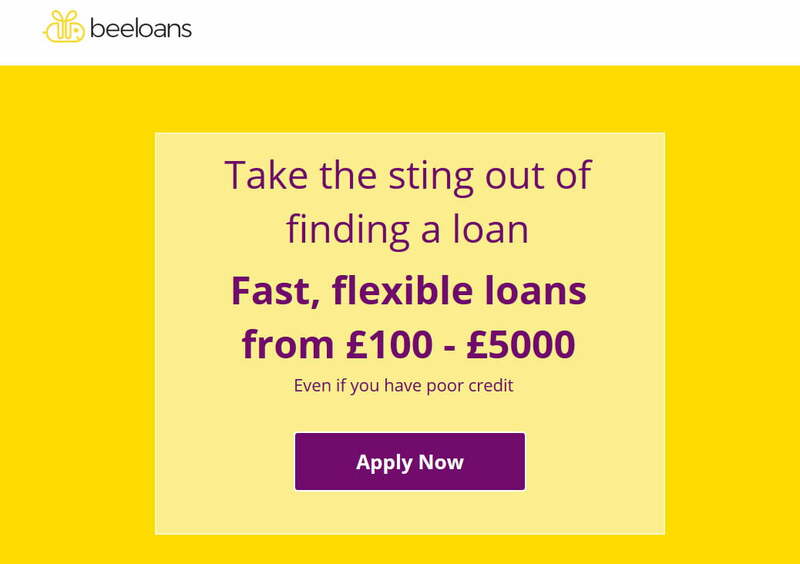 Don’t worry if you’ve already been there and clicked on it, as it actually then DOES take you to the real website beeloans.co.uk, but with an affiliate ID added so that whomever runs those fake Facebook profiles will earn commission through Beeloans’ affiliate scheme on any loans it sells. They’re making money from the most vulnerable people by misusing social media to lure people into applying for loans. What does this tell you? It tells you that you shouldn’t believe everything you see on the internet, especially on social media. Don’t take every Facebook post at face value. Don’t believe every piece of news, competition or recommendation you see. Over a quarter of the world’s population is now on Facebook, and many of them are novices when it comes to using the internet, which is why scammers like this target Facebook users for their naivety. I should point out that the company Beeloans probably has no involvement in the operation of the beeioans.co.uk domain, or the social media postings, but it should monitor its affiliates more closely to ensure they’re not preying on people with these types of actions.